In the energy industry, the term “smart” is the current buzzword of the day. Smart cars. Smart homes. Smart grids. The list is growing in perpetuity. But what makes a device “smart”? Is it the hardware, the functionality, or the software? No matter how you slice it, the ability to be “smart” is relative. Any product, however equipped, is only as smart as the person using it. Products are simply tools, but people are smart. Many utilities, including ComEd locally, are proposing to remove all existing meters and install new devices, charging customers for the removal and installation. The new devices are put into the utilities’ asset column with a healthy rate of return and depreciated over many years. With several million customers each paying approximately $400 per meter it quickly becomes real money. A few weeks ago, ComEd released an evaluation of its investment, which justified increasing customers’ rates so the company can install the meters, construct a massive communication network, control the data and own the infrastructure. 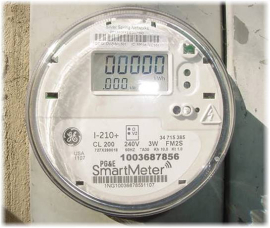 The report’s conclusion that smart meters should be installed is correct, but perhaps just not for the reasons stated. Standing alone, my computer doesn’t finish any of my work for me (in spite of my expectations and wishes). But the computer, the software and the Internet can all be considered tools to access, apply and transfer information for use. This proliferation of information for the consumer allows the true value of the computer to be realized. Once accessed, information can be applied to complete an almost infinite amount of tasks, and a consumer’s energy information, applied intelligently, is no exception. “Smart” gadgets are just tools that provide more robust information than previous tools, mostly through their ability to access the Internet and record and transfer data immediately. If smart meters are tools to give consumers more information, then the massive investment to install them can be justified based on the mass distribution of meters and the consumers’ resulting ability to use that information, versus a handful of utilities acting in their own interest. Some large commercial buildings, including several BOMA/Chicago members, have their own localized smart grids through their building automation systems. 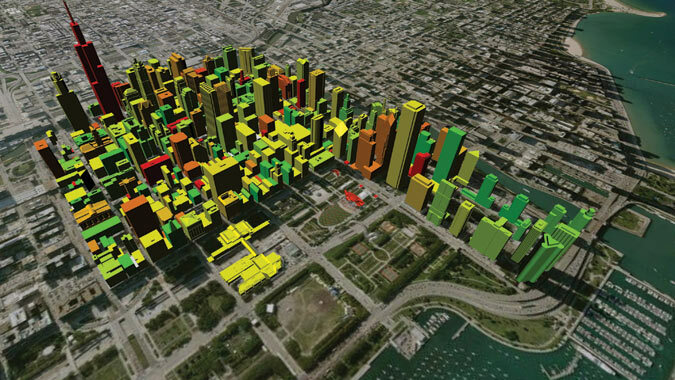 The value of robust access and real-time information is virtually unlimited to these properties, but it would be even greater if that information was harnessed and applied for all downtown buildings. The better (and more robust) the information, the better the analysis and the decisions that can be made by building owners and managers. Armed with this insight, consumers and buildings alike should embrace the concept of acquiring more robust information through “smart” technology. This is particularly true for BOMA/Chicago members that have the means and capabilities to control and use this data to accomplish cost reductions and revenue generation, helping to nurture a more sustainable environment. This entry was posted in CRE Trends, Green and tagged "smart gadgets" consumer's energy information, "smart" technology, BOMA/Chicago, BOMA/Chicago members, building owners and managers, ComEd, ComEd released an evaluation of its investment, data that is generated, Forrest Gump, healthy rate of return, install new devices, Internet, large commercial buildings, mass distribution of meters, Metropolitan Energy, smart cars, smart grids, smart homes, smart meters, software, stored and transferred. Bookmark the permalink.